Chardham is our 4 main temples. In This Mandir, There is a Balswarup Murti of Paramguru. H.H. Shree Avichaldasji Maharaj has opened a school attached to this Mandir which provides education to poverty stricken children. He has also started annual Paid Yatra's (walk a thons) to Balkuver Mandir from Sarsa Mandir. Thousands of devotees take part in this blessed event. This Was the Second Mandir Built in our Gyan Sampraday. It was Designed and Established by Dvitya (second) Kuveracharya Shree Narandasji Maharaj. This Mandir was built in the exact location of the "Bitter Nimb Tree" where Paramguru did Satsang while he was here. The Tree still stands there today, More than 150 years later. H.H. Shree Avichaldasj Maharaj has established a grand Mandir there and every year for the past 2 years he has been Takin Pad-Yatras (walk a thons) to Fajalpur from sarsa. Thousands of devotees take part and are blessed by the divine energy in this Mandir. He Samadhi Mandir is located behind our main Mandir in Sarsa. It was established by Shashtam (sixth) Kuveracharya Shree Sitaldasji Maharaj. It contains the samadhi of all the Kuvera acharya's who have gone to Kaival Dhaam including Paramguru. THE KAIVAL DHARMA WAS INTRODUCED IN VIKRAM SANVAT 1829 BY PARAMGURU SHREEMAT KARUNASAGAR MAHARAJ. HE WAS PRACAT (MATERIALIZED) IN A FOREST IN KASOR GAAM, GUJARAT, INDIA.PARAMGURU PREACHED ABOUT KAVAL KARTA (UNIVERSAL GOD), AND TAUGHT DEVOTEES HOW TO LIVE A RIGHTEOUS LIFE AND PRAY TO KARTA.THE BASIC PRINCIPLE OF THE KAIVAL DHARAM IS THAT THERE IS ONLY ONE GOD AND THAT IS KAVAL KARTA. KARTA DOES NOT HAVE A GENDER, RACE, BODY, FORM, OR FIGURE. THE COMMON BELIEF THAT HINDUS ARE POLYTHEISTIC (HAVE MULTIPLE GODS), REMOVED FROM THE MINDS OF DEVOTEES. ALL THE VARIOUS DEV/DEVIS WE SEE ARE ALL VARIOUS FORMS AND MANIFESTATIONS OF KARTA. THEY HAVE BEEN GIVEN SPECIFIC TASKS, HOWEVER, THEY SHOULD NOT BE CONSIDERED AS GOD, AS THERE CAN ONLY BE ONE GOD. PARAMGURU TEACHES HIS DEVOTEES TO VIEW HIM AS A GURU, NOT A GOD. 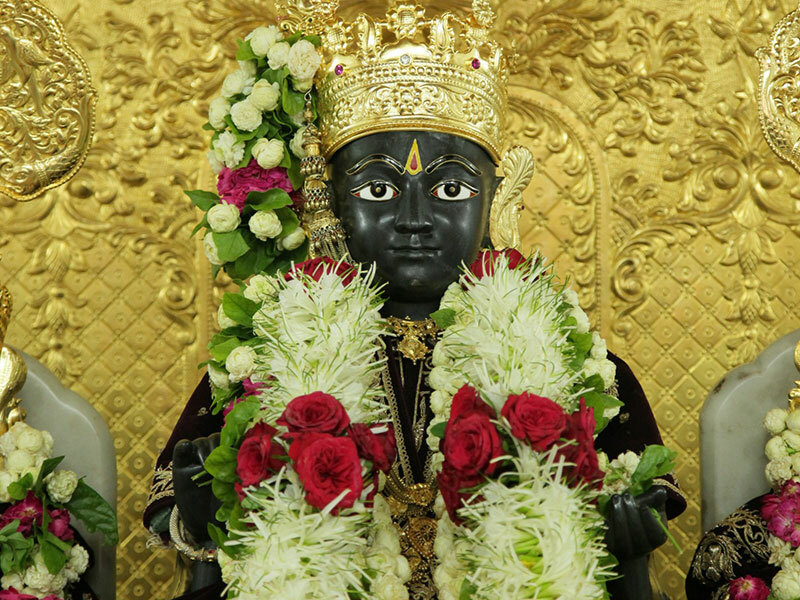 HE WILL LEAD HIS DEVOTEES TO KARTA TO ATTAIN SALVATION. Acharya Shree Avichaldasji Maharaj has done so much it is hard to account for everything. He is truly a divine and spiritual leader who has helped thousands of people, and has worked his hardest to spread Kaival Gyan. To have a Guru like him is a true blessing. મહા પતિતકુ પાવન કરો, શ્રી ગુરુ પરમ સજાણ. દયા ક્ષમા ઔર દીનતા, પર દુઃખ કુ હર લેત. જન્મ મરણ ધોખે ઘર ખાયા, આતમા નહિ પહેચાના. KAIVAL KARTA IS THE ULTIMATE CREATOR AND CONTROLLER OF THE ENTIRE UNIVERSE. KARTA HAS NO BEGINNING, MIDDLE, OR END. KARTA HAS NO GENDER, RACE, NAME. BODY, OR FORM. KARTA EXISTS IN THE FORM OF DIVINE ENERGY AND NO ONE CAN COMPARE TO KARTA'S POWERS. © Copyright 2017-2018 Kaival Gyanpith Gurugadi Sarsapuri (KGGS) satkaival.in.